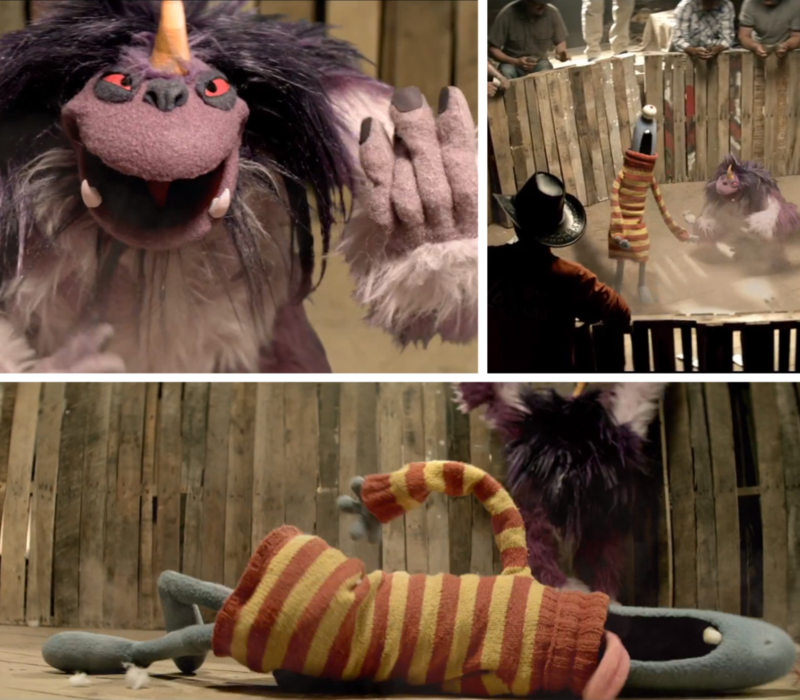 Gorigula, Screaming Richard, and the Pink Bear are original characters designed and built by Puppet Heap and featured in the music video Radioactive by Imagine Dragons. Radioactive received a Grammy Award nomination for Record of the Year and won a Grammy for Best Rock Performance. The puppets were performed by Michael Bush, Carole D'Agostino, and Michael Schupbach. On set production photos of Imagine Dragons' music video Radioactive. Carole D'Agostino and Michael Bush on set puppeteering Gorigula. Artists Steph Cathro and Michael Bush test the Pink Bear's movements in the Puppet Heap workshop. Gorigula and the Pink Bear original character artwork by Paul Andrejco. (L to R) Puppeteers Michael Bush, Carole D'Agostino, and Michael Shupbach. Screaming Richard original character artwork by Paul Andrejco. On set production of Imagine Dragons' music video Radioactive. Puppeteer Michael Bush on right. Michael Schupbach (lower left) puppeteering the Pink Bear with Lou Diamond Phillips (upper right).